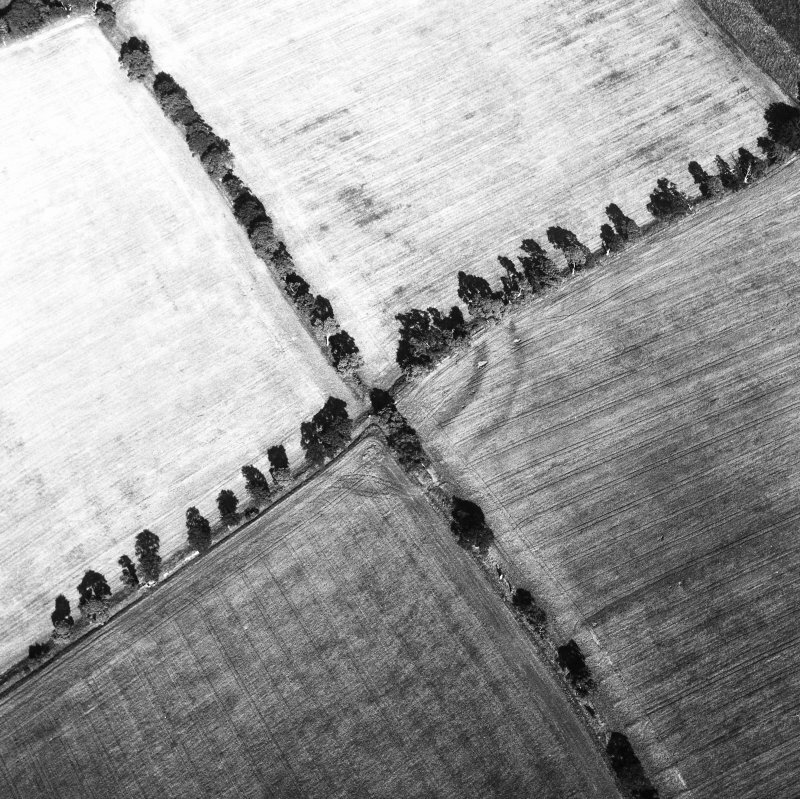 Listed among several sites where resistivity and magnetometer surveys were made, and plans produced. R Jones [et al.] 1991. 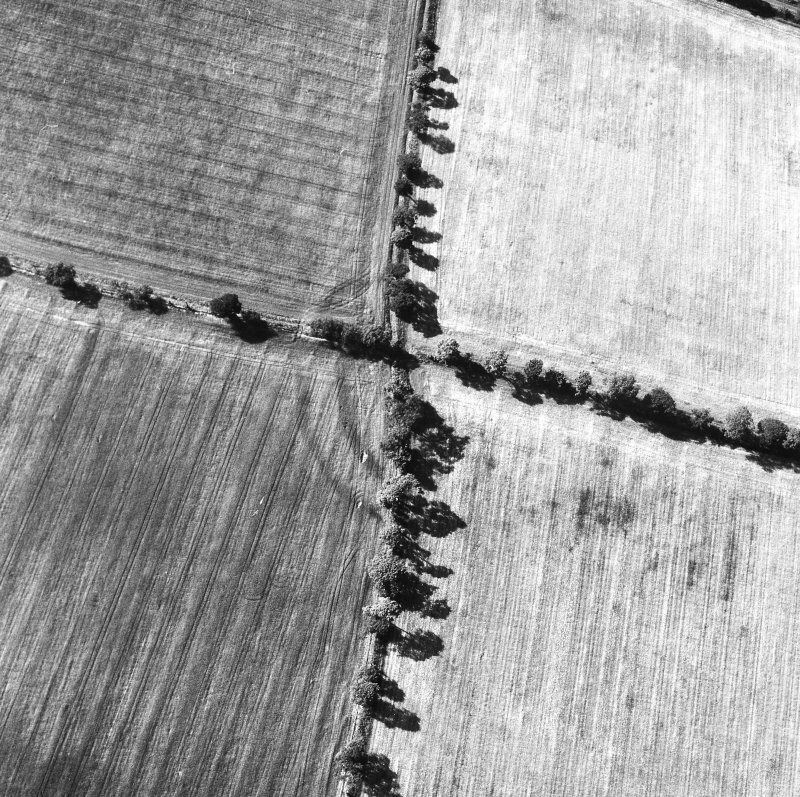 Cropmarks have revealed the site of a fort or fortified settlement on a low ridge SE of Spadislee. It lies at the intersection of four hedgerows on the SE side of the ridge's broad crest, at the top of a long slope dropping away to the NW side of Bemersyde Moss. 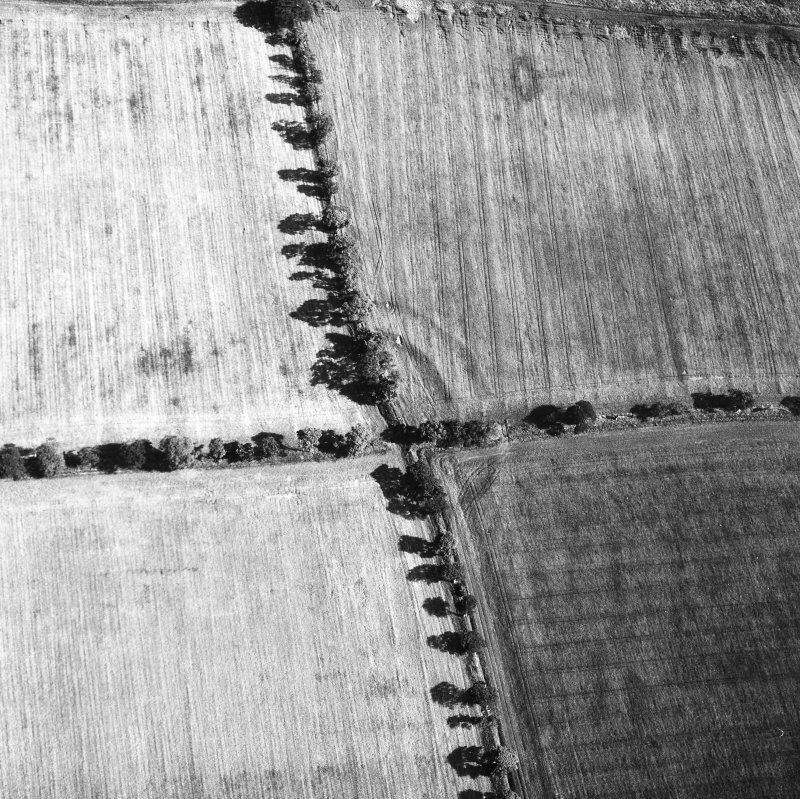 Oval on plan, it measures about 80m NE to SW by 70m transversely (0.43ha) within a ditch between 4m and 5m in breadth, and there is a broad entrance on the ENE; allowing for an internal rampart, the interior encloses about 0.35ha, but apart from a large macula over 20m across on the SE, appears featureless. Some 10m outside the ditch around the SE half of the circuit there is a second ditch about 3m broad, but the gap between the ditches on the NE opens up to 30m; while this might be interpreted as an annexe added to the inner enclosure, it is just as likely to be the remains of a free-standing earlier enclosure, though there is no stratigraphic evidence for the sequence of their construction. 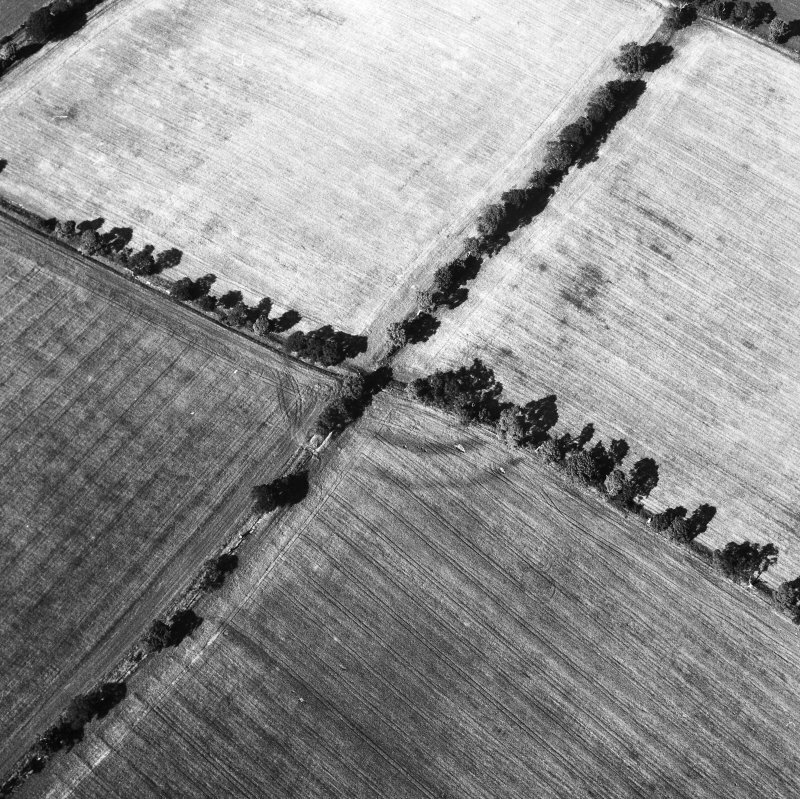 The outer enclosure takes in an area measuring about 130m from NE to SW by 90m transversely (0.9ha).